You! Yes, you, with the Galaxy Tab running Gingerbread! 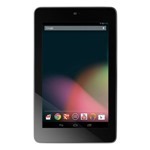 You are officially out of excuses for not having a Nexus 7. (Unless your excuse is that you don't have a hundred and eighty bucks.) Google and Asus' seven-inch love child is just $179.99 for the 32GB version - a savings of a whopping $70 - at Gamestop's online store. 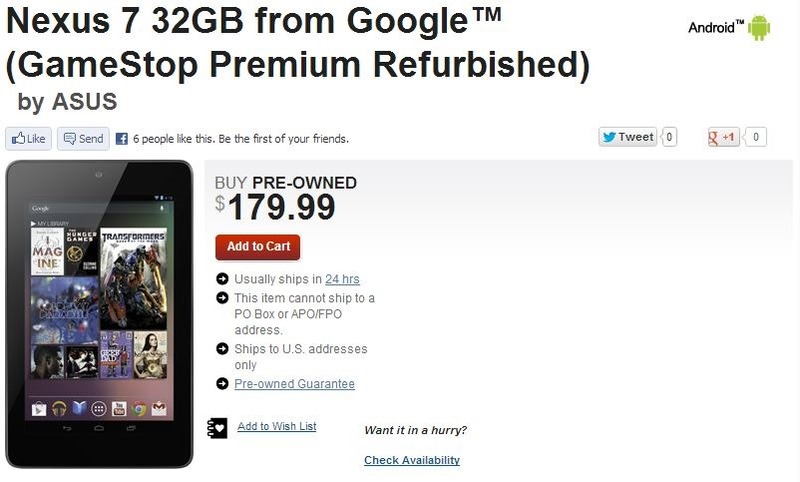 The only catch is that it's "Gamestop Premium Refurbished". Gamestop Premium Refurbished means that it was traded in to Gamestop as a used item, and the company's service department has done some kind of work on it. Now, that could be anything from a sticky power button to a cracked screen, but the unit they send you is functional and complete, including data cable and power brick (but usually not a box or manual). Gamestop offers free returns within 7 days on refurbished hardware, no questions asked, and has a 30-day warrantee on all used and refurbished items.